I always believed that my hero David Bowie would live forever and ever. I was devastated when I heard the news in January that he'd passed away. Luckily, LEGO does last forever and thanks to Centuri he lives on in the form of Jareth the Goblin King. Labryinth is one of my all time favourite films and this build brings Jareth to life. 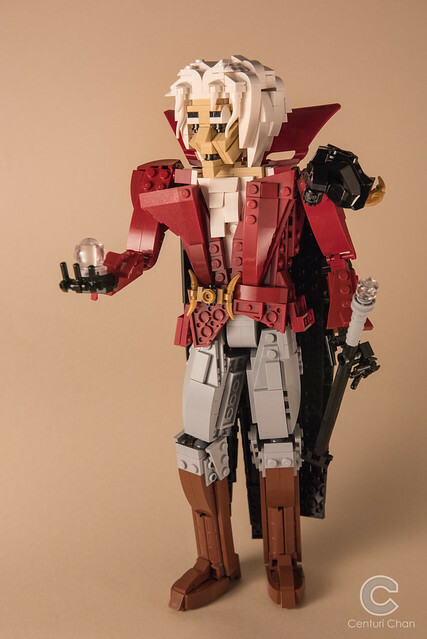 I love the fact that if you look closely, you can see a minifig head used for the skull on Jareth's shoulder piece and chest lids for his boots. Now, what kind of magic spell to use....?